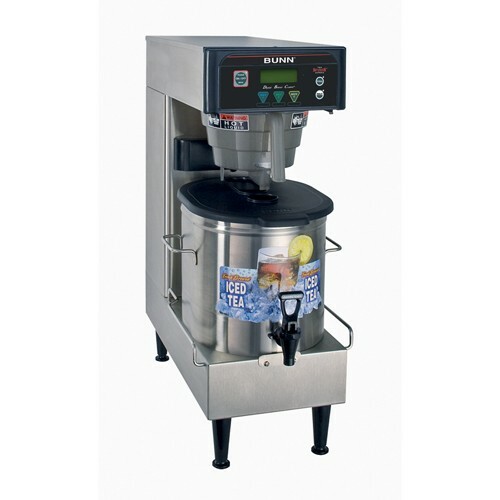 Hit the sweet spot of capacity and counter space savings with the BUNN Low Profile Iced Tea Brewer. Pair this brewer with a 3.5 gallon oval dispenser with a brew-through lid for maximum ease of use and ease of serving tea. Summer is almost here, get your iced tea brewing for thirsty customers. Display: Advertising messages, brew counter and English and Spanish display.